Top schools in Iowa actively seek out Maharishi School graduates. Our support structure gives the international Maharishi School students a competitive edge that makes them sought-after candidates. Our ELL program is designed to meet a wide range of student needs. Recognizing that no two students are alike, teachers provide ongoing evaluation of student English language strengths and weaknesses. This forms the basis of individually-designed ELL curriculum for each student to ensure the most rapid development of language skills (reading, writing, speaking, listening) for academic success. Regular mainstream status in the classroom once a student has demonstrated proficiency in EL acquisition. 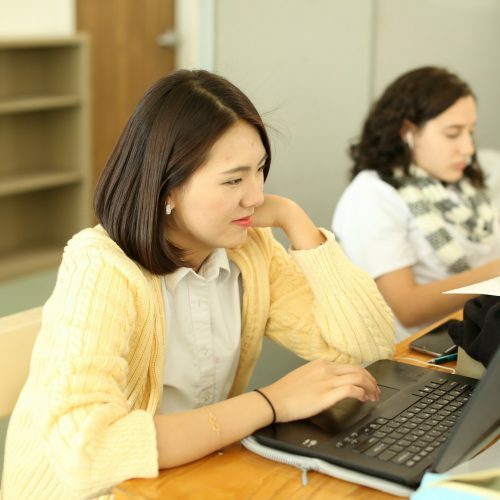 All levels of classroom placement are closely monitored by the ELL program teachers who work with all teachers and administrators to advocate for and oversee the success of our international students.